Still Dark ,,,,Brooding and Violent but a much deeper plot. I like this book a lot better than the first book and i really liked the first.Seemed a bit less harsh with deeper characters. The back story is great. Builders Sons,, Book of Kirk.. 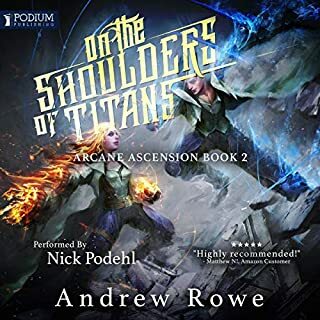 Took me longer than it should have to figure it out :) If you like The First Law books by Joe Abercrombie or The Night Angel Trilogy by Brent Weeks you will like these books. 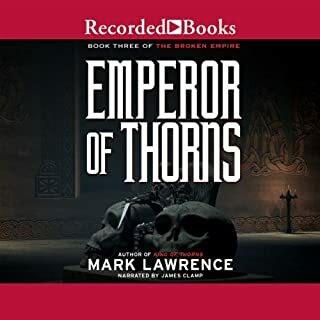 I am downloading Emperor of Thorns now. 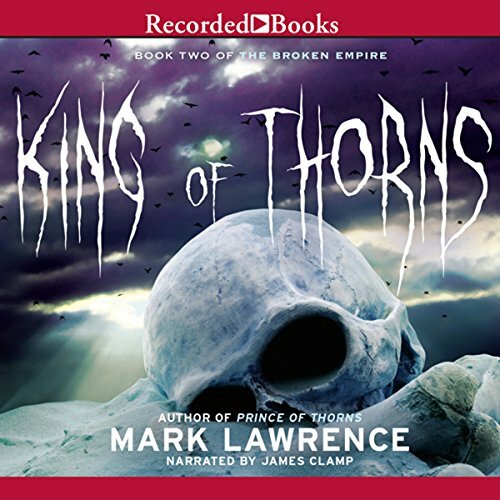 James Clamp returns with a masterful reading of Mark Lawrence's "King of Thorns." One of my favorite audiobook performances. I like Jorg...and I hate him. I guess that's why I like him. He's complicated, but not arbitrarily so. What does James Clamp bring to the story that you wouldn’t experience if you just read the book? Clamp manages distinct voices for each character and is very consistent. He breathes a kind of personality into Jorg that I might have missed if I were just reading it on my own. When Jorg wrestles with the unintended effects of his necromancy (trying not to give too much away). 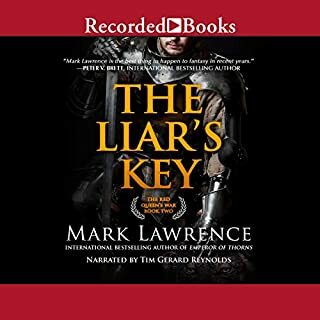 Inspired and original Mark Lawrence continues to improve (and after writing the first in the series which I thought could bear no improvement) "King" continues to follow Jorge in his journey of self discovery and adventure. 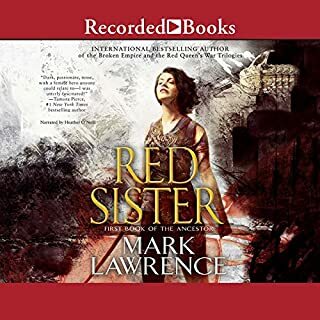 Lawrence continues to reveal himself as potentially one of the 21st century's best fantasy (or is it SCI FI?) authors- but with character and plot development equal to, or better than, any genre. I would recommend this to ANYONE who loves great fiction and especially lovers of low FANTASY. 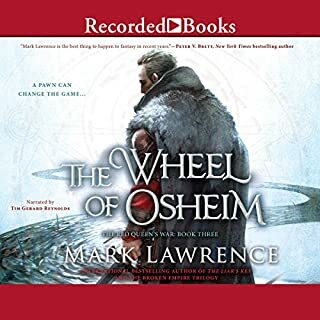 Would you ever listen to anything by Mark Lawrence again? The first book was bad but I finished it and started this one because I had bought all three at once and thought perhaps it would improve. I was wrong: King of Thorns is worse. 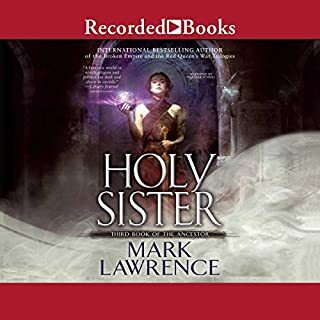 The book is disjointed with no story line, merely lurching from one unpleasant scene to the next and growing more gruesome as the book continues. I finally quit when I got to the scene where the father makes his six year old son, who has been naughty, break his dog's leg as punishment. The author must enjoy this sort of thing because he goes into great detail about the dog's fear and what the leg looked like after being hit with a hammer. I don't need a book to be filled with roses and sunshine, but I don't need gratuitous violence, gore and suffering either. This book has absolutely no redeeming features and I simply cannot fathom how it got so many 5 star reviews. I read Prince of Thorns a year ago, and I loved it. 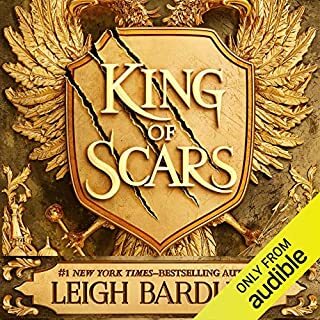 I only waiting this long to read King of Thorns because I didn't want to blow through the entire series in a week. The plot is tight and quite captivating. The prose is beautiful, which is something of a rarity in the genre. And the characters are fascinating. The growth of Jorg was something that I wasn't really expecting, but it was really interesting to follow. 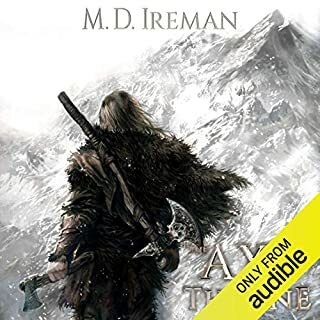 I would recommend the book and the series to anyone who likes fantasy or good writing. 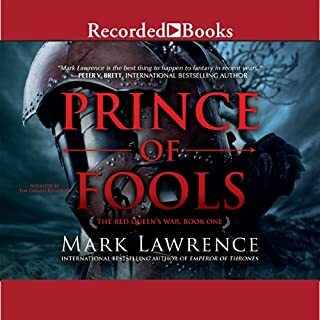 Anyone looking for a good series to tide them over between episodes of Martin's Song of Ice and Fire would definitely enjoy these. 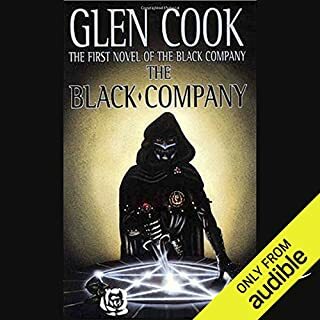 James Clamp's narration is excellent. I wouldn't change a thing. 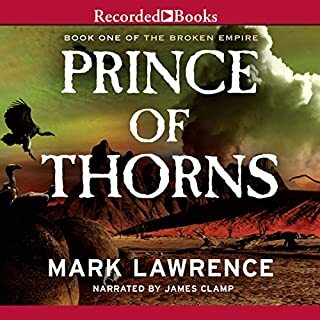 Would you consider the audio edition of King of Thorns to be better than the print version? Have you listened to any of James Clamp’s other performances before? How does this one compare? What made the experience of listening to King of Thorns the most enjoyable? 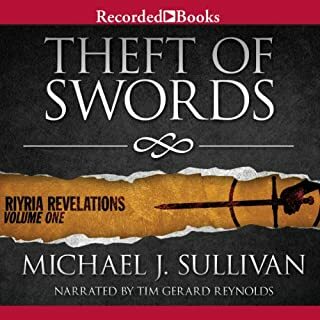 The narrator gave a good performance and the story itself is just plain entertaining. 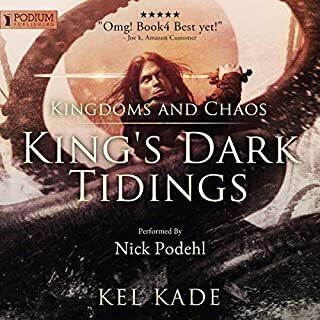 What other book might you compare King of Thorns to and why? 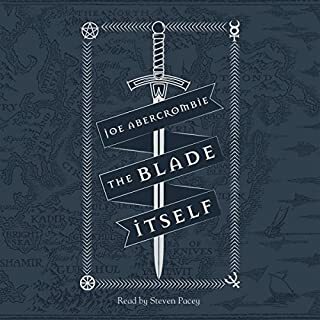 I might say it's similar to Joe Abercrombie's works only a little less dark. Overall, really good. I had some trouble following the timeline because there is so much skipping back and forth between current time and 4 years ago from chapter to chapter. I still have some trouble with the young age of the character being so unstoppably dominant over everyone else in this story but I can usually allow that to slip out of mind and just enjoy the action. 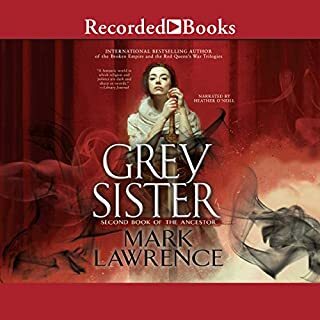 Dark, bloody, good action, interesting twists, excellent narration voice. The title is not an exaggeration. 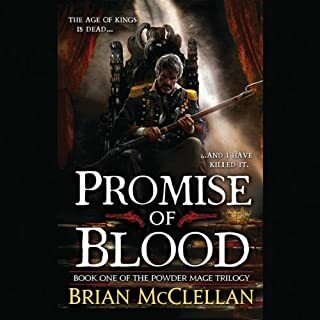 This trilogy is shaping up to become one of my favorite reads in a long time, and this, the middle child in all of it, does not disappoint in the slightest. 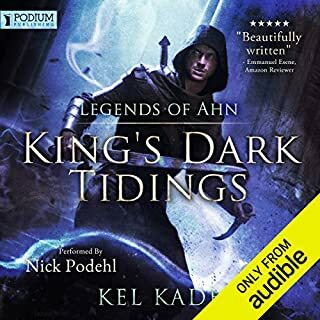 If you've read the first one you already know of the dark prince, and it should not be surprising that he remains dark even when his title advances to king (even if that title is somewhat self proclaimed), but we the listeners are also treated to hearing how Jorg Ancrath evolves over the years. And its a believable evolution because it keeps the perfect balance of being significant, without being drastic. So, in some ways he is the same prince we learned to love in the first book, but he also is maturing. 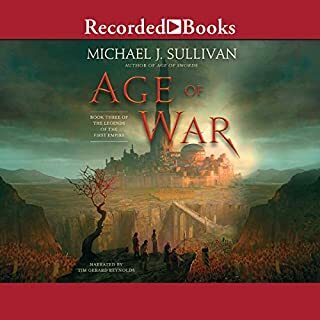 This book also reveals more about the world of the Hundred War, something that is extremely interesting to learn, and added a lot to my enjoyment of the tale. But enough about how amazing the book is, the narrator also deserves his praise! Once again, James Clamp has done an AMAZING job. He nails every part of his performance. All the characters retain their individuality, and the acting is superb. Setting him with the task to read this book was really a match made in heaven and I simply can not wait to hear him reading the last installment.